Closing Spot Prices for 1 Ounce (28.3495 grams) of Gold. Gainesville Coins $ 1300.34 $ 24.95 $ 1325.29 FL up to 10 days $2,000 USD minimum for bank wire price. Please note: The above South African Krugerrands 1 oz prices are estimated based on available information on the dealers' websites and no warranty can be made as to their accuracy or timeliness. This website is not directly affiliated with the above mentioned dealers and any of the dealers' ads appearing on this website is incidental. These prices are not offers. This website does not offer investment advice and does not endorse any of these gold coin dealers. For more accurate information, please contact the gold dealers directly. 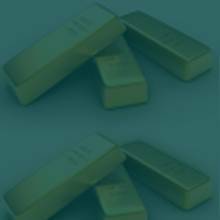 The creators of ExchangeRate.com have made it a mission to provide you with a great wealth of information about GOLD. Whether you are looking for the current buy/sell rates of gold, or if you are merely interested in finding out more about gold, XRGoldrate.com has you covered. Since XRGoldRate.com is free to use, we kindly ask you to visit some of our sponsors provided by Google and various marketing companies. Who knows, maybe you are ready to invest in gold, or maybe you just might want to buy something made of gold...either way, we have many sponsors more than willing to show you their products and services.